Leopard (Panthera pardus), Africa & Asia. 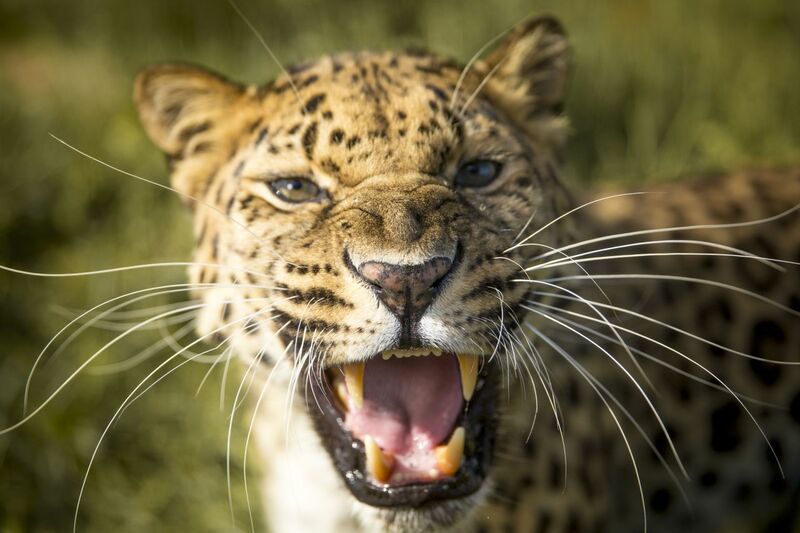 From the deserts of Southern Africa, to the Boreal forests of Russia (and even the bustling suburbs of Mumbai in India), leopards thrive in more environments than any other wild cat. It seems as though we’ve been waiting for October all summer – not just for the crisp air and cooler temperatures of the autumnal season, but also because this month marks the start of a brand new season of NATURE documentaries. Along with a few of our favorites from past seasons, we’ve assembled a delightful line-up of NATURE shows that will pique your curiosity and bring you closer to the natural world every Wednesday night. Here’s our rundown of what to watch this month either by tuning in on PBS or streaming online beginning the day after each program airs. What happens when people are reunited with the wild animals with which they forged a deep bond years ago? Will these gorillas, elephants, cheetahs and chimpanzees still recognize their human caregivers and how will they react? That is the premise of this program which also raises the question of whether wild creatures can really experience emotions like joy, devotion, and love. It’s a debate that many animal lovers are convinced is true and the scientific community is beginning to accept. Animal Reunions — narrated by actor Richard Thomas — contains interviews with scientists, authors, and caregivers including scenes of their journeys to reconnect with their former wild charges. In part one of this three-part miniseries, you’ll meet a few of the planet’s ultimate cats – from speedy cheetahs to a tiny rusty-spotted cat – and discover the remarkable abilities that allow them to thrive in their varied environments. Remember to tune in on Wednesdays at 8|7c on PBS (check local listings) or stream episodes right here on the NATURE website beginning the following day. Happy October Viewing!